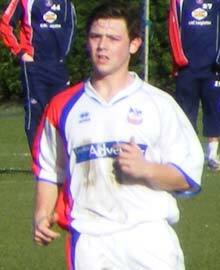 Youngsters Jamie SMITH and RYAN Carolan have been handed full contracts with Crystal Palace. Fellow second-year scholars Aaron Dalhouse and Billy Bingham have been offered six-month deals on a non-contractual basis, but Joe Sweeney has been let go. Under 18 coach Gary Issott said: "Jamie SMITH is a diminutive attacking central midfielder in the mould of Eyal Berkovic. He is very clever and improved after a frustrating first year. He started this season well and, up until Christmas, his form was electric. "RYAN is an Irish youth international who had a fantastic first year but struggled this term with injuries, which resulted in him missing big parts of the season. "He is a left-footed player who can play at centre back or in central midfield. At 6 foot 1 inch he is also a tall presence and has good skill on the ball."